Let my preface this post with a disclaimer: I’m still a newbie blogger myself. I started my blog in May 2016 and then two months later recreated it on WordPress. I’m also part-time. My blog readership is pretty low still. I only wanted to write this because my social growth has been pretty decent. In three months I’ve grown my Twitter from 0-1800+, Instagram from 0-1000+, and Pinterest, well, Pinterest has always been my weakness. Pinterest is at 700+. I hope to successfully monetize my blog someday, but my numbers are currently so low I’m not holding my breath. I’m just trying to be steady and enjoy the process. These tips are a combination of ideas I’ve gleaned online from other blogs and just things I’ve discovered from my own experience. 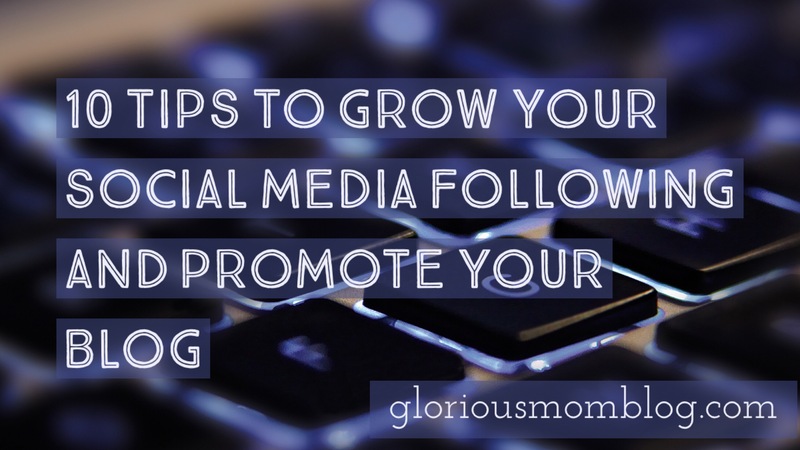 I hope maybe one or two of these tips can help you grow and promote as well. I’ve heard negative feedback from other bloggers about people who follow only to unfollow later if they don’t get a follow back. If you don’t want to unfollow that’s fine, but you may end up with a following that is 3-4x your followers. The method that works for me is this: I follow 1-200 people or so. Always find another user with the same niche as you and follow their following. Also, when people add you to a list on Twitter check it out, as you might want to follow those people. Try to get mostly the people who look like they fit your niche, but don’t overthink it. Wait a few days, and then use an app to unfollow. I unfollow until my ratio is 1 followers/2 unfollowing. At least I did until I hit about 1,000, then I unfollowed more to get it closer to a 1/1.5 ratio. I find this is pretty successful in getting people to respond, as well as to follow me and check out my blog. I have a routine that whenever someone responds to this with their info, I try to follow, visit their blog, and tweet posts as soon as possible. The app I use is called Spark Post and I love it. I try to post 2-3x a day on Instagram, and then I pin those posts on Pinterest as well. I try to post 2-3 photos on Instagram a day. I use Hootsuite when doing social media work for my job. I’ll create several days worth of posts and then schedule 2 posts a day for Twitter and Instagram. As I’m creating the posts I’ll simultaneously schedule on my organization’s Facebook page so it publishes somewhat simultaneously. If you don’t, many WILL unfollow you. If they’re not who you’re trying to sell your blog to, it’s not that big of a deal, but you wanna keep the keepers. Invite others to collaborate on your boards, particularly ones you post your articles to. I have a Glorious Mom Blog board that I post only my articles to, but also a Mom Blog Articles board I invite other mom bloggers to contribute to that includes my pins. I want that one to get enormous. Contact me if you want to collaborate. They say your Twitter posts should be 2/3 retweets … Or something like that. The truth is that if you want people tweeting your stuff, you gotta tweet theirs. Plus it’s an easy way to get noticed with more content. When they do retweet your stuff, don’t forget to mention and thank them. Have several boards that you pin your blog articles to. This is easy to do especially when you’re collaborating on a bunch of boards. When you pin a new article, repin to a different board every few hours or so. They have pin schedulers that do this for you, but I haven’t discovered any free ones yet. If you have time to write a blog post every day, that’s awesome! I don’t. I’m lucky if I get two a week. So sometimes I’ll repost a blog that I had posted the night before: “just in case you missed it,” or I’ll put up an older one I think people might like. It not only gets people to think about subscribing to yours, it gives you material to share, and overall promotes goodwill. I hope these tips have been helpful! Again, I’m a newbie, so if you have any more tips, let us know! 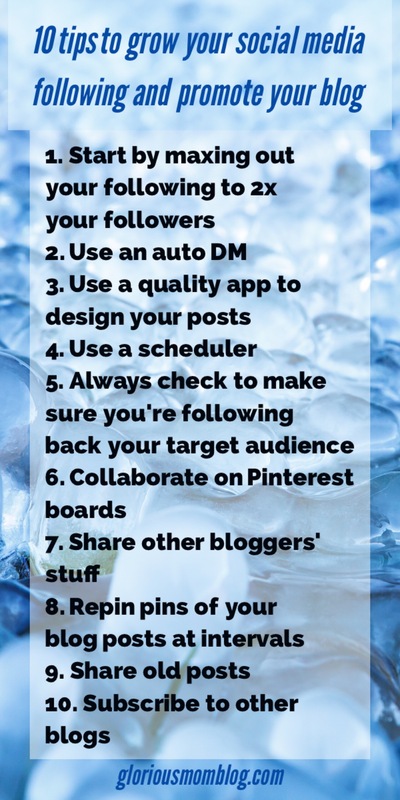 Great tips here – pinning so I can keep following up. As a newbie I need all the advice I can get to make my site a success! I’m not a fan of auto DMs. I don’t even read them haha, so I don’t want to send them. I’m curious about the Spark Post app though. What app do you use to do the auto DM? Thank you for sharing these tips, very helpful! Sure! Hope they work for you! Thanks for the great tips. I’m also working hard on growing my social media! It can be a lot of work! Yeah, I find I’m largely impatient! Looks like we started about the same time! Pinterest…ugh….I just can’t get followers. LOL! That’s interesting that you have found auto DM’s helpful. I never open them so I don’t send them myself but maybe I should! Twitter is by far the easiest to grow. I constantly tell myself I should actually try but I never do. haha. I would probably have a pretty big following by now. Ugh. Also, I started monetizing on IG around 2k and on on my blog at less than 5k. So, it’s definitely a myth that you need a huge following. Of course, there will be more opportunities (and higher paying) as you grow but I always tell people not to wait! These are great tips! Believe it or not, I was just trying to Google some tips a few moments ago. This is one of the best resources I’ve found. Thanks for sharing! Hi! Thanks for the easy to follow guide! I am currently trying to grow my social media following and checked out your blog after reading your DM. It’s one of the more sincere ones that I have seen. I look forward to reading more of your articles! 🙂 Also, I’d love to collaborate on your Mom Blogs Pinterest board!